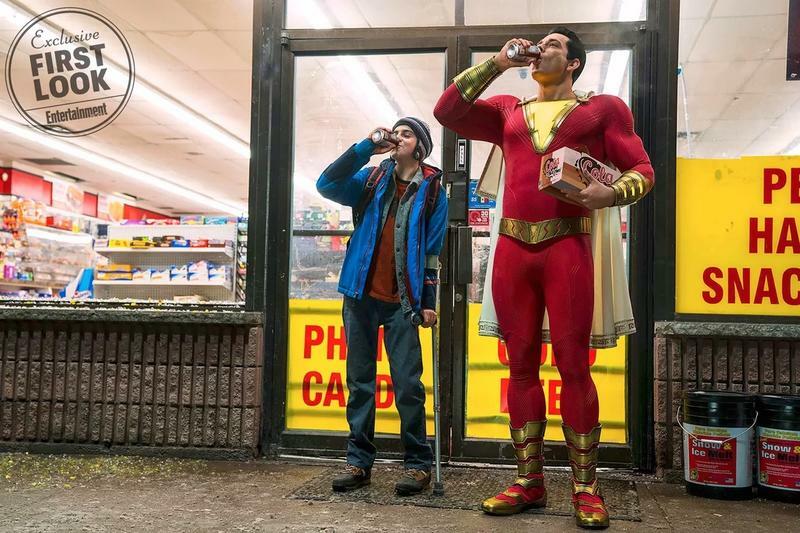 Warner Bros. has done a great job of keeping major details for Shazam! under wraps though we’re slowly learning more about the upcoming DC movie. 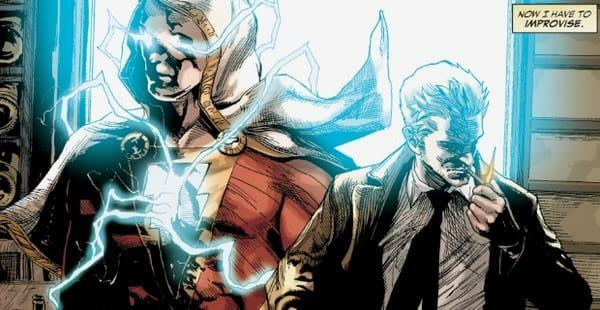 Yesterday, it was revealed Djimon Hounsou was cast to play the role of a 3,000-year-old sorcerer and today we are being treated with the first official look at Zachary Levi in his Shazam! costume. Back in March, set photos gave us the first look at Shazam! but that was just a behind the scenes look. The newest image provides more context to the character and how he will play off the Billy Batson character. In the image, Billy Batson as his alter ego Shazam! is drinking a cola alongside his friend Freddy Freeman. Levi looks very gallant and muscular in the suit. To bring the character to the big screen, director David Sandberg revealed in an interview with Entertainment Weekly he had to tweak the iconic costume to something more modern. The changes he made were small but go a long way in making the costume less royal and more heroic. Other changes made to suit include scaling back the lightning on the chest plate. We’ll get at much better look at the suit when Shazam! arrives in theaters on April 5, 2019.